The Yellowstone River Retreat is your quintessential Montana river front escape! 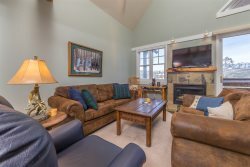 Located on the banks of the famed Yellowstone River, this three-bedroom and two bath home is calling all fishermen. After a long day of fishing, just kick back at the fire pit and relax to the sounds of the River. The home is only a short drive to Gardiner, Chico Hot Springs and Livingston, that offers numerous shops, restaurants, and much more. Enjoy Yellowstone National Park, white water rafting, mountain biking, hiking, horseback riding or just chill in the mountains of southwest Montana. The best part about this home is its’ location! From here you have ultimate River access to some of the best fly fishing in America! You’re also just a short drive away from Yellowstone National Park, so there’s always something new to explore! - Outstanding location - 30 Minutes from Livingston, MT with amazing views, 40 minutes to Yellowstone Entrance in Gardiner, MT.